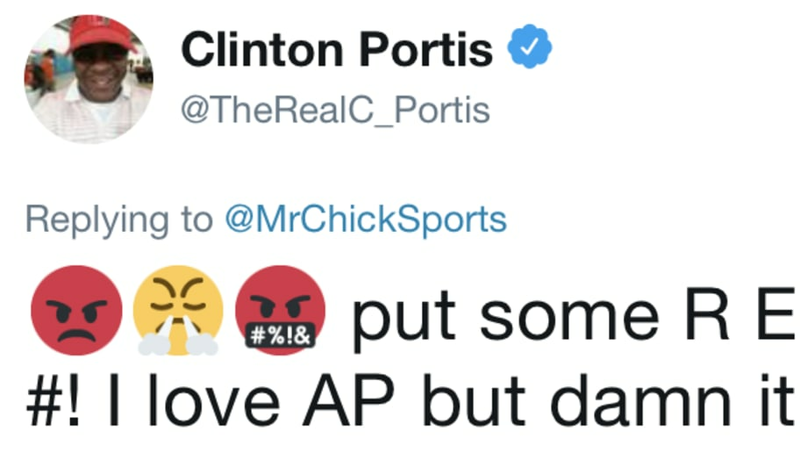 Clinton Portis' days with the Redskins have been over for years, but he wasn't afraid to fire shots at their management today. After the news broke that Peterson will wear No. 26 this upcoming season, Portis decided to unleash his thoughts. Even though he respects Peterson and his body of work, Portis wants some words with Dan Snyder. News flash, Bashaud Breeland wore the same number during his time in D.C.
Why wasn't Portis infuriated by the team's decision to allow Breeland wear "his" jersey? The likely answer is that he's threatened by the idea of AD on the Redskins. Although he finished with 6,824 rushing yards in seven seasons with Washington, Peterson's career is way more impressive. Let's also not forget that he can ​make additional history on the gridiron, if he finds success with the Redskins. If Adrian Peterson is still with the #Redskins for Week 1, he can make history. He needs just four yards to pass Marshall Faulk for 11th on the #NFL's all-time rushing list and 37 to pass Jim Brown for 10th. Would be cool to see him do that in a Redskins uniform. Bask in your misery, Clinton Portis. We've seen Peterson defy the odds before, and receiving hate from former tailbacks might just encourage him to put on a show in the NFC East.